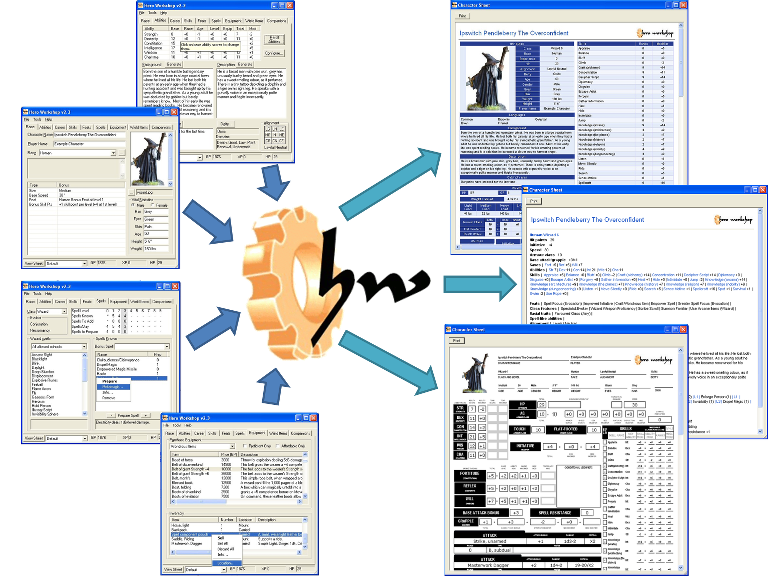 Character generation software for fantasy role playing games. 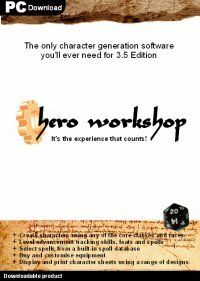 Hero Workshop is a compact and easy to use desktop application for the Windows operating system that enables the rapid generation of printable character sheets for the popular fantasy roleplaying game, Dungeons and Dragons (3rd Edition). “ ” I recently purchased the licence for Hero Workshop and I am impressed. It is a robust and user friendly programme. Again, congratulations on a well developed and received application. “ ” I just downloaded your new 2.0 version of Hero Workshop... and I have to say its impressive.